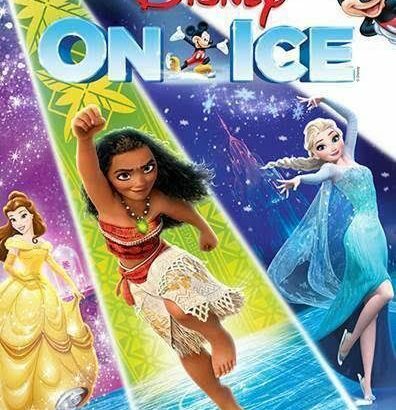 Disney on Ice is Back in St. Louis with Moana, Elsa, Anna, and more! Save on Tickets – Exclusive code inside! Celebrate what’s possible as the adventures of five daring Disney heroines spark the courage inside us all at Disney On Ice presents Dare To Dream! See how far Moana will go when she embarks on an action-packed voyage with mighty demigod Maui in a quest to save her island, become a wayfinder, and find her own identity. Anna’s devotion to her estranged sister Elsa sets her on a perilous journey to mend their bond, and stop an eternal winter. Rapunzel breaks out of her tower and teams up with an unlikely companion, Flynn Rider, as she goes to great lengths to realize her dream. Armed only with courage, Belle befriends the enchanted castle staff and learns to look beyond the Beast’s rough exterior. With help from her friends and a little magic, Cinderella is determined to make the wish in her heart come true. Hosted by Mickey and Minnie, discover why no dream is too big when we find the strength to shape our own destiny at Disney On Ice presents Dare To Dream! Feel empowered to become the hero of your own story as you take an adventure of self-discovery with five daring Disney heroines. Anna, Moana, Rapunzel, Belle and Cinderella will inspire everyone as they overcome obstacles to make their dreams a reality by remaining brave and determined, and have a little fun along the way. Become immersed in the inspiring songs of Moana, Frozen, Tangled, Beauty and the Beast, and Cinderella as the music instills confidence and encourages all of us to never stop dreaming. 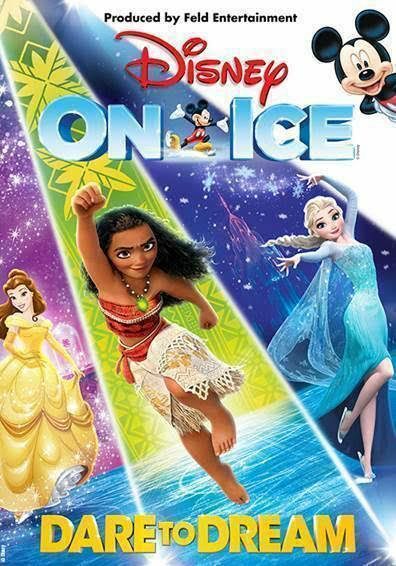 For the first time, see Moana live on ice featuring Moana, Maui, Gamma Tala, Heihei and more! Disney fans of all ages will be thrilled with the fun live show experience Disney On Ice delivers. *Discounted tickets are valid ONLY for Saturday, Sept. 22 at 7pm and Sunday, Sept. 23 at 3pm. St. Louis Dad was provided complimentary tickets in exchange for promoting Disney on Ice.